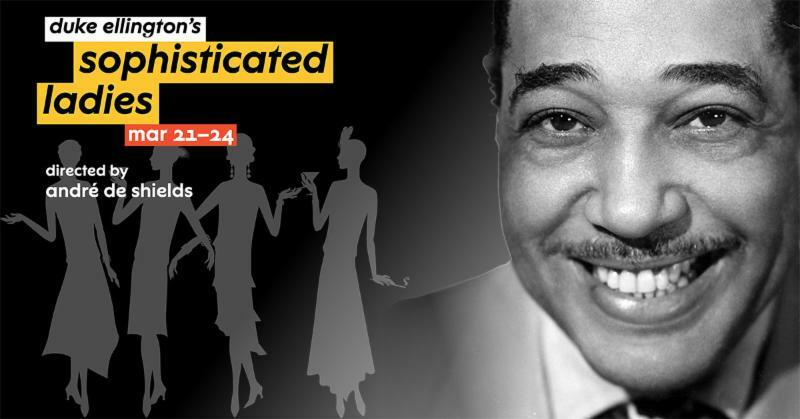 Duke Ellington's high-style music is the heart and soul of this 1981 Tony Award-winning Broadway hit, directed with dazzle by André De Shields. Presented in the year marking the 120th anniversary of Ellington’s birth, this revival of Sophisticated Ladies brings the heyday of Harlem’s swanky Cotton Club into the 21st century. André De Shields returns to NJPAC after directing and choreographing the first co-production between NJPAC and Crossroads Theatre Company, 2018’s critically acclaimed Ain't Misbehavin'. All those glorious Ellington numbers – “Satin Doll,” “It Don’t Mean a Thing (If It Ain’t Got That Swing),” “Cotton Tail,” “Take the ‘A’ Train” and “Mood Indigo” – are in full swing with a glamorous cast of Broadway veterans, bright young stars and an onstage band versed in the tradition of the orchestras of Duke Ellington and his son, Mercer. It’s a high-stepping salute inspired by the ritzy nightlife and sensuous highlife of a man who lived to love. When asked about reviving one of the most popular Broadway shows of the 1980s, De Shields said, "Fast forward nearly four decades to 2019, and the culture has gone through a tectonic shift. No longer made solely of the solidly impervious fabric of male dominance, contemporary American culture has been stretched to the point of porosity. And those porous imperfections are currently being mended by the stitch work of twenty-first century, self-empowered womanhood. Flipping the script has become a necessary tool of the postmodern female. Since it is the responsibility of my generation to explain to the succeeding generations how we got from there to here, I searched for a piece of entertainment that could be unpacked for its implicit information regarding the psychological, emotional and intellectual relationships between men and women. It occurred to me that Duke Ellington's Sophisticated Ladies was ripe for the picking." Mr. De Shields' creative team will include Burke J. Wilmore (Set and Lighting Design), Kimberly Schafer (Choreography), Gail Brassard (Costume Design), with a full cast being announced soon! André De Shields made his NJPAC debut six years ago in Prudential Hall as Zeus during an orchestral performance of The Creatures of Prometheus. He returned in 2017 to direct and choreograph the first co-production between NJAPC and The Crossroads Theatre Company, the critically acclaimed Ain't Misbehavin'. In his half-century artistic career, Mr. De Shields has distinguished himself as an unparalleled actor, director, choreographer and educator. His numerous accolades include an OBIE Award for Sustained Excellence of Performance, the 2009 National Black Theatre Festival's Living Legend Award, the Black Theatre Network's 2016 Winona Lee Fletcher Award, and many more. His body of work includes Broadway, Off-Broadway, regional theatre, feature films, television, and cabaret. A multiple Tony Award nominee, Mr. De Shields is best known for his show stopping performances in four legendary Broadway musicals: The Full Monty, Play On!, Ain't Misbehavin', and The Wiz (title role).